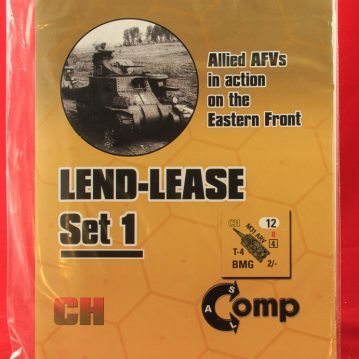 Lend-Lease Set 1 (apparently subtitled “Allied AFVs in Action on the Eastern Front” and hereinafter referred to as LL1) is a difficult product to categorize. It contains a full 5/8″ countersheet, 4 scenarios, and 2 new geoboards. It is not quite a scenario pack, map pack or counter pack but essentially an amalgam. Because the counters are the main focus of the product, an editorial decision was made to label this product a counter pack. 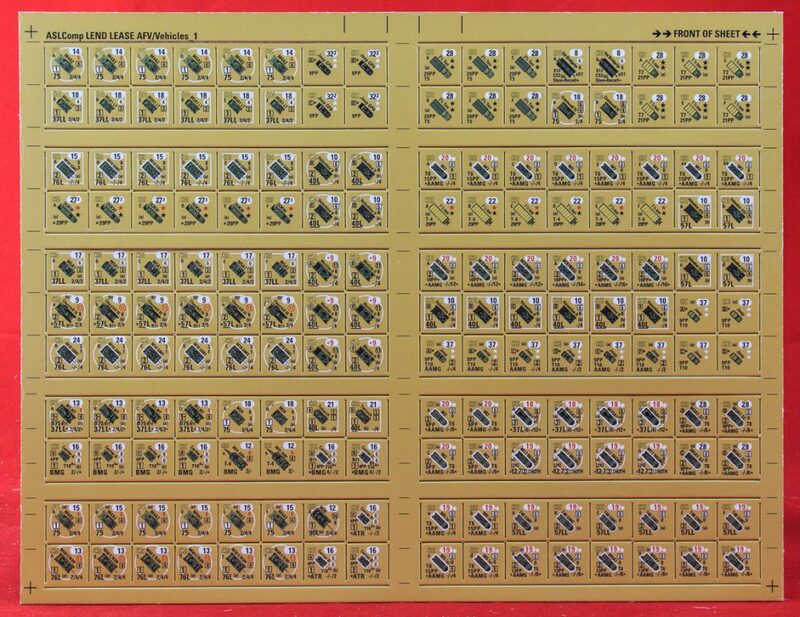 This is the sort of product that Critical Hit is likely to produce more of in the future, because neither the counters nor the geoboards require playtesting or development, and the ability (and, probably, desire) of Critical Hit to perform those functions is in short supplies these days. By focusing on things like counters and boards, Critical Hit allows it to avoid putting weight on what is clearly its Achilles heel of the 2010s. “But this product has scenarios,” you say. Stop interrupting me, junior; see below. The focus of this product is on U.S. and British Lend-Lease vehicles to the Soviets during World War II. It seems that LL1 includes counters in Soviet colors for all of the Lend-Lease vehicles listed at the end of the Soviet Chapter H vehicle pages, as well as additional counters for other British and U.S. vehicles that were also sent to the Soviets. These include a few vehicles that never actually saw any combat, such as the single Pershing tank sent to the Soviets for evaluation purposes (as part of an inter-allied AFV technology exchange agreement), which are mildly interesting but not very practical or useful (MMP did the same thing with Hakkaa Päälle!). However, most of the vehicles included did see some sort of action on the East Front and it is nice to see that all of them now appear in Soviet colors (instead of the British counters that players may have previously had to use). 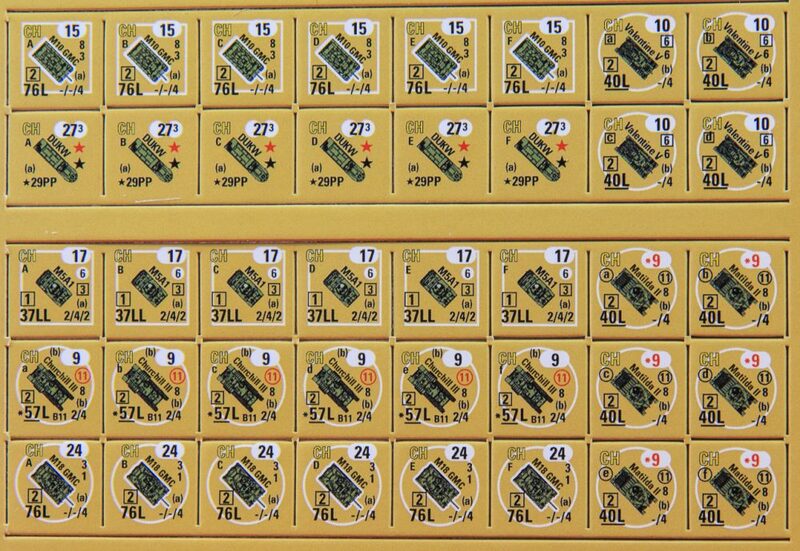 The counters in this product, then, are not essentially gratuitous and useless, as are most of the counters in the “Dutch” series of counter packs by Critical Hit. Some of them can actually be used by players. Two 11″ x 16″ “Gary Fortenberry-style” geoboards are also included with the product, dubbed LL1 and LL2. The boards do not seem to be original; Critical Hit frequently plagiarizes its own board designs, sometimes with variations. 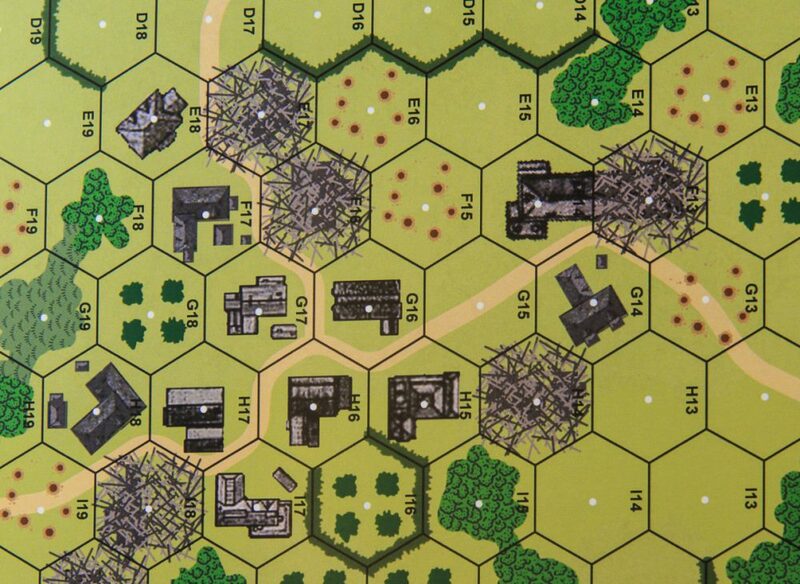 In this case, LL1 appears to be a variant of a board published in GWASL IV: Samsonov’s Army (or they both are variants of some other, previously published board), with some artwork substituted for other items (such as one type of building replacing a different type of building). LL2 is probably of similar origin. 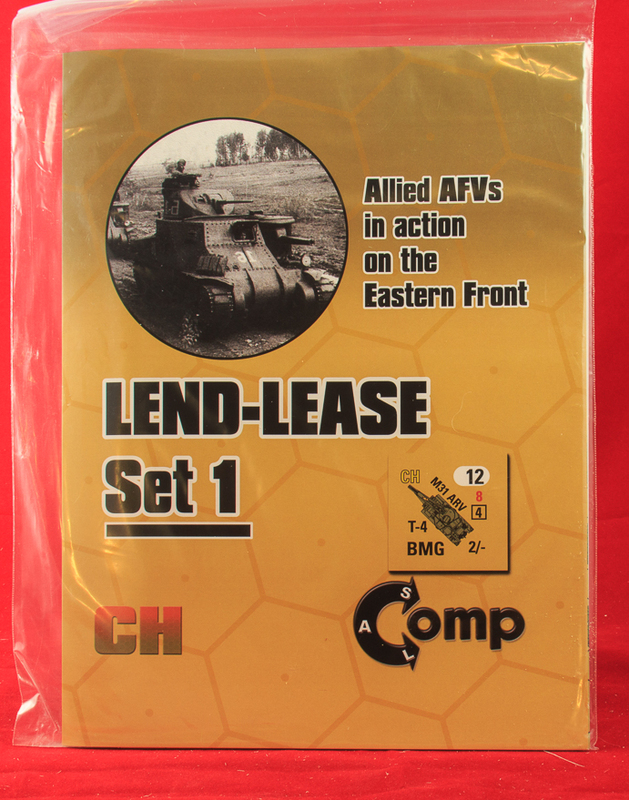 Similarly, the scenarios included with Lend-Lease Set 1 are not original. 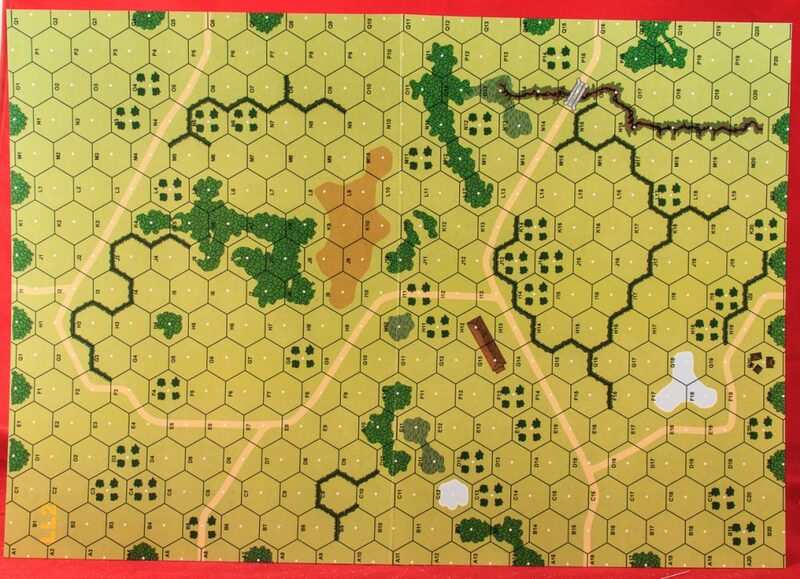 LLB1 (Last Landsers Out), for example, is simply the scenario TEF1-1 (Eye of the Needle) published in Total East Front Pack 1, except modified and set on board LL1 instead of the (very different) board Board 45. LLB2 (No Walk in the Park) is actually TEF1-3 (Panzers in the Park), similarly modified and re-boarded. Ditto LLB3 (Disaster at Dubrova); it used to be OAF2 (The Tiger’s Roar) from Critical Hit’s old OAF Pack 1. And LLB4 (Finn in Wolf’s Clothing) is a modified TEF1-8 (Olin’s Surprise), also from Total East Front Pack 1. It seems that Critical Hit just skimmed through old East Front scenarios to find a few with Lend-Lease vehicles in them. Keep in mind that these new versions use geoboards different (sometimes very different) from the boards the scenarios were originally designed for and playtested on and that there is no evidence that these very different new versions were re-playtested. Indeed, one should assume they were not, which makes the scenario content of this product a very dubious value. When one considers the very low chance that future Critical Hit products will utilize these geoboards (and the essentially zero chance that third party designers will), the value of the geoboards drop as well, as outside of the scenarios here, they likely could only be used in DYO situations and that is not how most ASLers play ASL. That really leaves the counters. And while some of the counters can usefully be added to the ASL system, whether one wants to pay the asking price of $39.95 for such limited utility is a serious question. Generally speaking, this product is only for utter East Front fanatics, as well as for those ASLers who simply cannot stop themselves from buying any ASL-related product whatsoever, regardless of usefulness or quality (and such folks do not need this site). 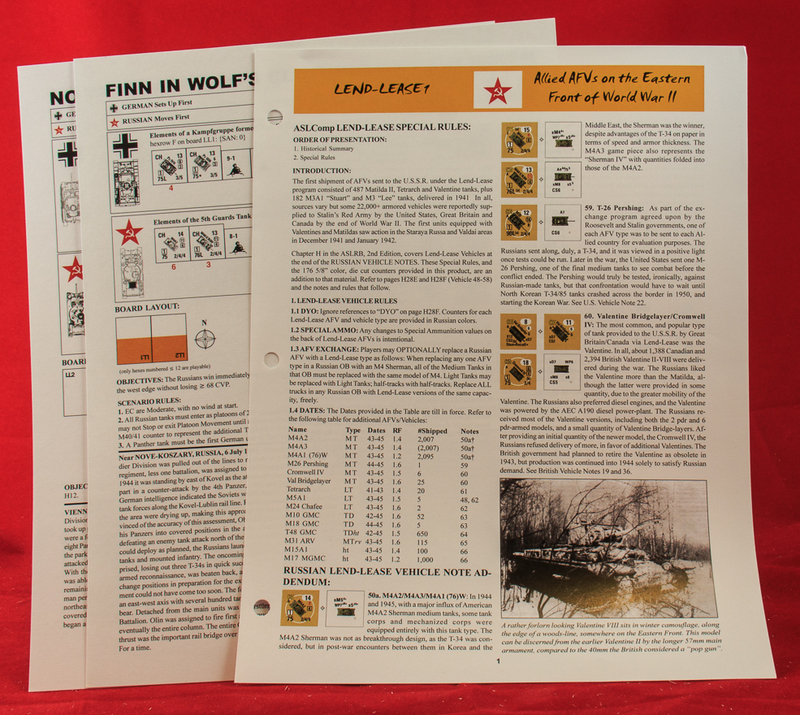 Red-Lease Set 1 Notes: Shortly after Critical Hit released Lend-Lease Set 1, it announced that it was also releasing a variant of this product, dubbed Red-Lease Set 1, which essentially consisted of the same countersheet and vehicle notes, except with counters rendered in the “alternative” color scheme Critical Hit created for its Nationality Sets 6 and7 “Reds” releases. 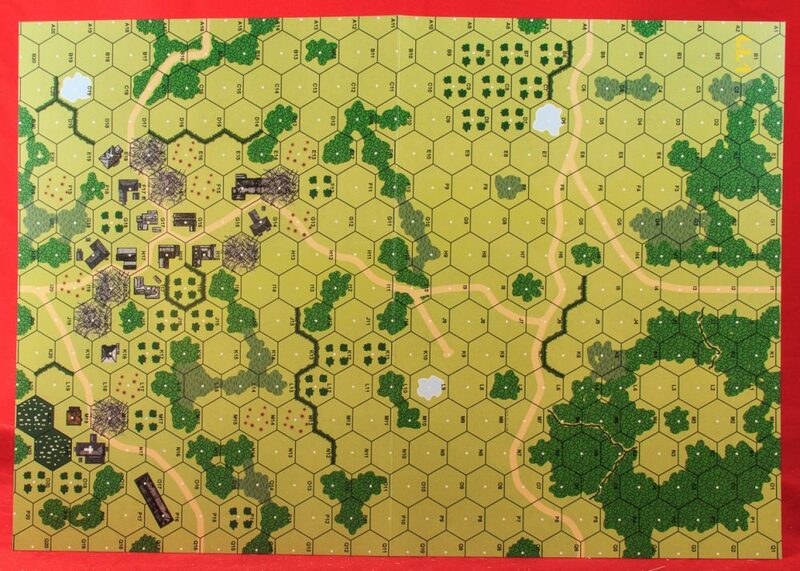 This product, which currently sells for $29.95 is said to contain different boards and different scenarios than the ones included in Lend-Lease Set 1; they are likely to be derivative, just as the Lend-Lease Set boards and scenarios were.